Immediately my meditation practice came to mind. My simple daily meditation practice has changed my life and I truly believe it can help anyone find and stay in touch with their authentic self. Meditation, for me, is about carving out time each day to sit quietly, breathe, connect with myself, and recognise my part in a bigger whole. Even on an especially busy day, just a few moments after I wake up or before I hop into bed at night, this is time free from distraction, free from the roles and responsibilities I identify myself with, free from the complications in life. It’s time for just me, to turn towards myself with curiosity, to connect with myself and offer myself warmth and kindness. 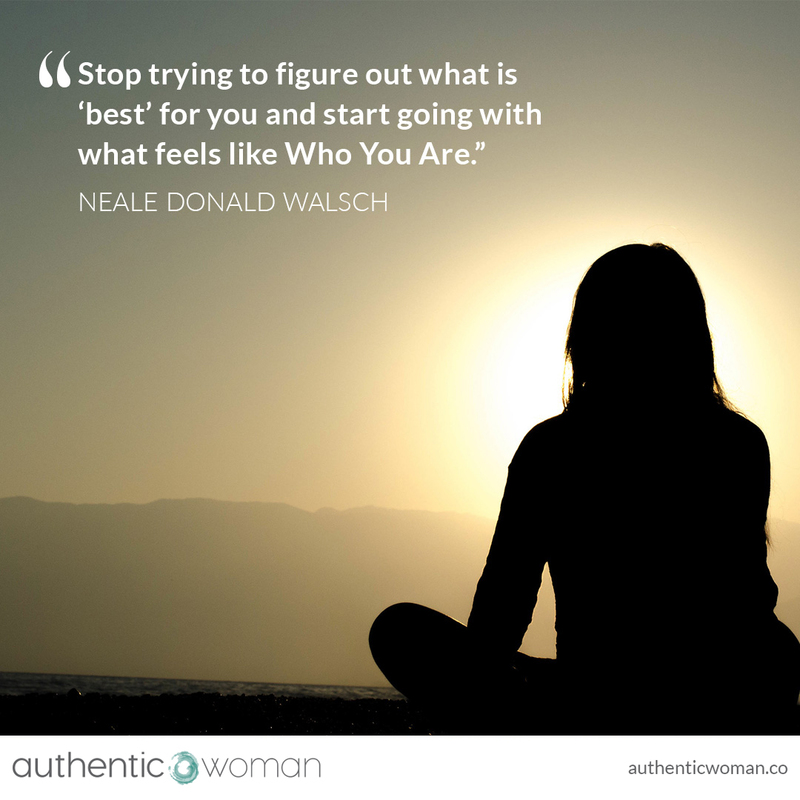 For me creating an authentic life is about checking in with myself on a regular basis and aligning my choices with that place inside that points to my unique true north. Regular meditation helps me do this. What helps you?